Harry N. Abrams, 9781419732720, 224pp. Viv Groskop is a journalist, author, cultural critic, and comedian. A graduate of Cambridge University and the University College London School of Slavonic and East European Studies, she is a regular contributor to The Guardian, The Observer, and the Mail on Sunday and has written for many other publications. "Learn how to hack life 19th-century Russian style! 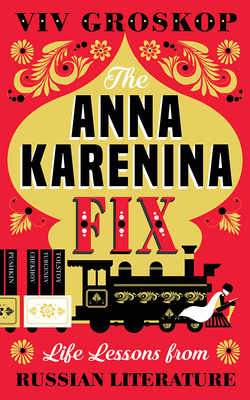 You'll totally be like Anna Karenina without getting (spoiler alert) run over by a train!"